In our last post, How to Write for MT, we showed you how you can improve your Machine Translation output by keeping to a few simple rules when writing content for Machine Translation. Companies often present these rules to their writers within style guides. A style guide is a set of rules/standards that a company’s writers adhere to when writing and designing documents. Style guides are essential for companies who have a team of writers producing their documentation. When writing for Machine Translation, a clear and concise style guide can help to cut translation and post-editing times, and perhaps most importantly – cost. In this blog, we are going to look at the benefits of using style guides, and how style guides can be useful when writing for Machine Translation. Companies can use a style guide to make sure that their documentation is formatted consistently. A style guide can tell writers how to format every feature of a document including the title page, table of contents, typeface, paragraphs, graphics etc. This means that writers just have to worry about the quality of their content. Good quality content, as we have discussed in earlier posts, produces better Machine Translation outputs. A style guide is very useful for generating content that can be recycled throughout a company’s documentation. If there is a topic that writers must cover repeatedly, a company style guide can tell writers exactly how to write and structure this topic. Writers can then copy and paste this content into the relevant document segments. Check out our last blog, How to Write for MT, we used the same quote there too. Not only does recycling content save time for your writers, but a Machine Translation engine can accurately translate this content because it may process it hundreds of times. 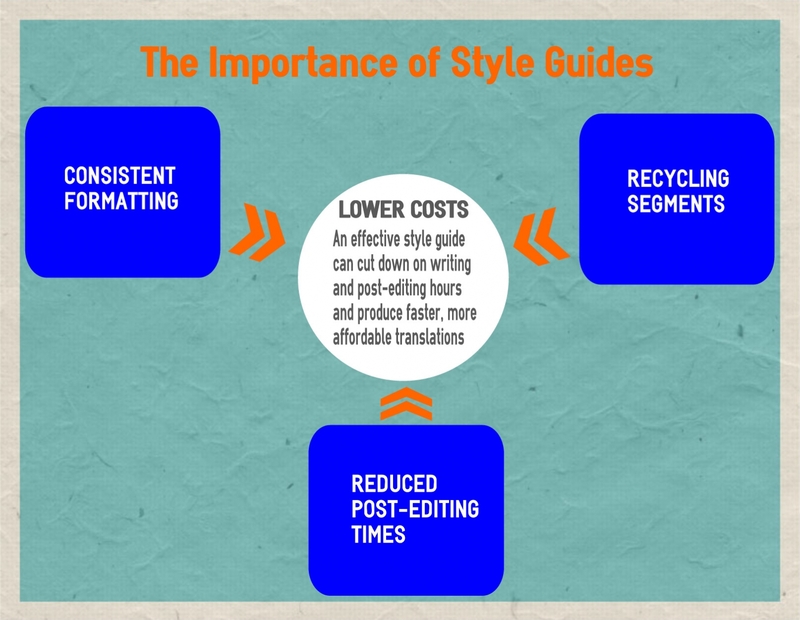 A style guide can save a great deal of time when editing documents post-translation. For example, if there is an error within a segment that a company’s writers have recycled throughout a document, a post-editor can quickly correct the issue using KantanMT’s Post-Editing Automation (PEX) technology. Because the segment has been recycled, the post-editor knows that he/she does not have to manually check each individual use of the segment within the Machine Translation output for errors. All of the benefits contribute to this final one – and that’s saving money! An effective style guide that writers adhere to can save hours of labour for both writers and post-editors. This means that high quality Machine Translations are ready for publication at a faster and more affordable rate. Well, if you don’t have a style guide in place – get one in place. Machine Translation is a process and the quality of one step affects the quality of the next. Consistent and well-structured data will produce consistently accurate Machine Translations. To find out more about Machine Translation and how well written documents can improve your Machine Translation outputs, go to KantanMT.com and sign up to our 14 day free trial! Writing documentation that a Machine Translation engine can successfully parse is essential to producing better yet more affordable Machine Translations. Thankfully, this is something that you can do by following a few simple rules when writing your own documentation. The most important thing to remember is to keep your writing clear and concise. The simpler your writing is, the easier it is for a Machine Translation engine to read it. In this blog, we will take a closer look at how to produce clear and concise documentation. Many organisations use “controlled language” to write for translation. Controlled language is much stricter than our everyday writing style. The aim of controlled language is to produce coherent and comprehensible documentation that is easy for a Machine Translation engine to read. Controlled language is particularly useful when writing instructional content. Uwe Muegge, a leading figure in the translation industry, has developed the Clout™ rule set; Clout stands for Controlled Language Optimised for Uniform Translation, and this blog references a number of rules within this set. This blog also references rules within Strunk and White’s The Elements of Style, which are useful for all content types. The most simple and basic rule of all! A Machine Translation engine cannot accurately translate a misspelled word. Ensure that you proofread your data before running it through your translation engine. Avoid conjunctions (and, but, which, etc.) and more than one clause when possible. Keep your sentences shorter than 25 words. Ensure that each sentence is grammatically complete (begins with a capital letter, has at least one main clause, and has an ending punctuation). 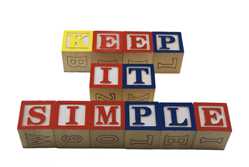 Do not over complicate the structure of sentences. The active voice is a direct writing style that cuts out vagueness and ambiguity. It is very difficult for Machine Translation engines to successfully translate vague phrases or those with double meanings. KantanMT engine; it could be you, someone else, or the world in general. Write a phrase that you can recycle throughout your documentation. A Machine Translation engine can recognise and accurately translate repetitive phrases. You could use the following list within several sections of the same document. Remove words that do not contribute to a sentence’s meaning. A Machine Translation engine may not convey the correct meaning of clichés/colloquial phrases and the meaning may not make sense to international users. This improves the clarity of sentences. And that’s it! Pretty simple right? By following these simple but important steps, you will write documentation that is much more Machine Translation friendly. That means less post-editing time, faster outputs, lower costs, and happier clients!